As reported earlier, Italian car maker Ferrari has launched the new California T convertible in India at a price tag of 3.45 crores (ex-showroom Mumbai). This is the second time that the legendary Italian company is entering India after its debut in the year 2011. In the past, Ferrari had to step away from Indian market because of consumer complaints on after sales service of their cars. Talking about the specifications, California T from Ferrari is powered by 3.9 litre, V8 direct injection engine that is capable of churning out a maximum power of 553ps and could attain a top speed of upto 315 kmph. The car could quickly attain a speed of 100kmph in 3.6 seconds, which is 12.6 times quicker than Maruti Suzuki Swift. 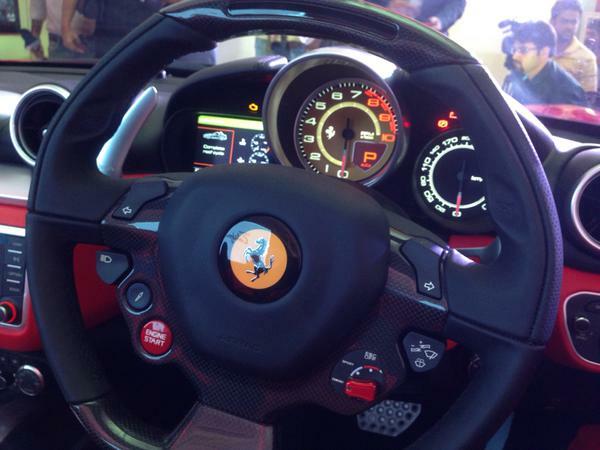 The all new Ferrari California T comes with a F1-inspired, dual clutch system with 7 gears and a reverse gear. The car can cover 100 kms of distance for every 10.5 litre of petrol. It roughly delivers a mileage of 9.5 kmpl on average. There are 2 exclusive Ferrari authorised dealers in Mumbai and Delhi that are accepting bookings and are contacting potential buyers individually. Mumbai based Navnit Motors would be opening a new showroom for Ferrari in the core region of Bandra Kurla Complex while a new showroom would be opening on Mathura Road in Delhi and it wil be back after 4 long years. Sources confirm that Ferrari’s annual quota for India has already been sold out and the dealers are accepting only 2016 deliveries. 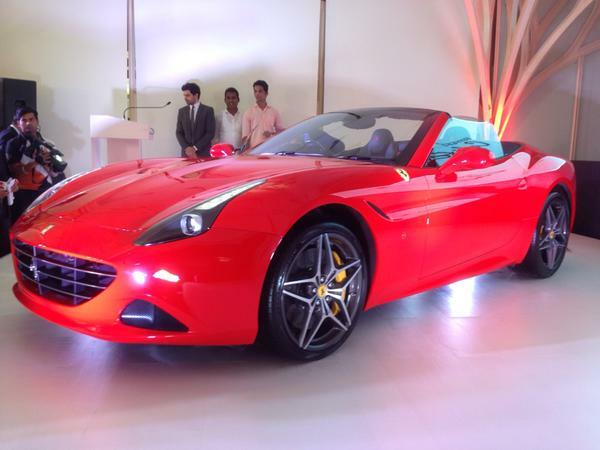 Ferrari California T has been priced at Rs 3.45 crores in India.